Idaho has 28 designated opportunity zones, including 26 low-income communities, plus 2 non-low-income contiguous tracts. 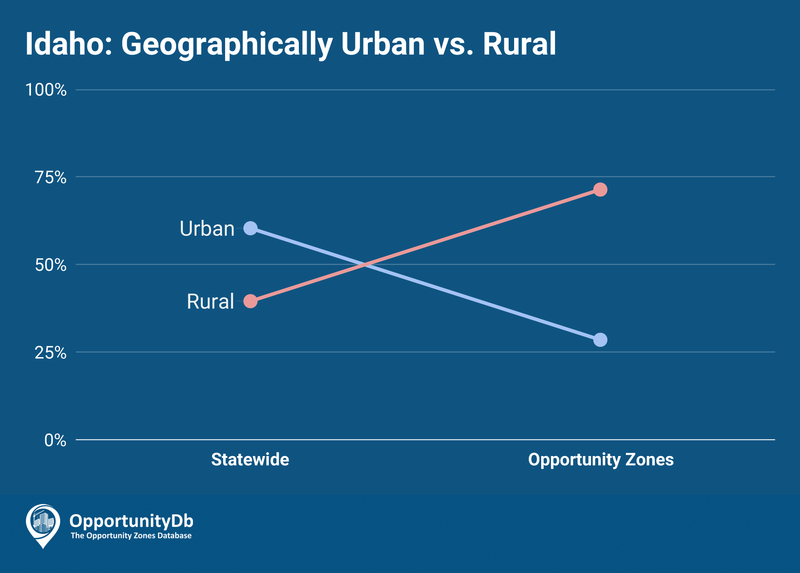 Idaho nominated a disproportionately high percentage of rural areas as opportunity zones. Statewide, just 40 percent of their census tracts are rural, but nearly three-fourths of their opportunity zones are rural. Very few census tracts in the greater Boise metropolitan area were nominated.